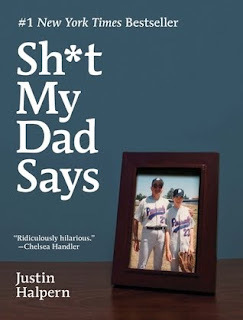 Review: When 28-year old writer Justin Halpern moved back home with his parents, he started a twitter page with funny things his dad spewed. Before long, he had over a million followers and a book deal. In this hilarious memoir, Halpern recounts stories about growing up in San Diego with his physician father, attorney mother, older brothers and the family dog. Laugh out loud funny, this is a quick read that I absolutely loved. I read this one out loud at night while in bed to Sean. He found it funny that I would pretend to be an old man, in my old man voice. tee hee. I'm a dork. I LOVE SMS.